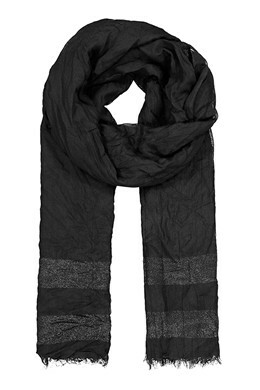 Decorative scarf with short fringing and glittery stripes. The scarf measures approx. 200 cm x 70 cm.